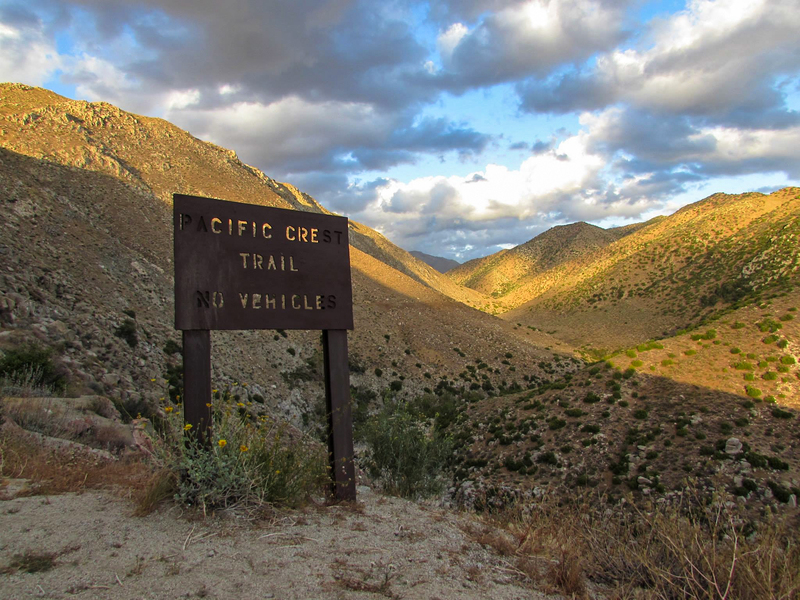 For 150 days, I hiked from Mexico to Canada on the Pacific Crest Trail. From April 17th to September 13th, the ULA Circuit sat “comfortably” on my back, in a plethora of conditions and terrain. Despite having to carry extra water in the desert, a bear can in the Sierra, and extra rain protection in Washington. The pack lasted the entire hike with some wear and tear associated with extreme, and continuous use. It is ready for another long hike, after some needed, but easy repairs. READ THIS MORE TECHNICAL, PRE THRU HIKE REVIEW FIRST!!! Hanging out at a desert water source on the PCT. ULA Circuit pictured! Hiked for so long, thought it was a good idea to keep my long spoon readily available! Also, a horny toad! 1. Weight: XL Size Weight: 40oz stripped down. (Smaller sizes are up to 8oz lighter) The Circuit is by no means the lightest, ultralight pack. That honor probably goes to a pack from zPacks or Mountain Laurel Designs. However, the Circuit balances a mixture of durability and ultralight technology, to make for an amazing long distance backpack. Compared to certain Cuben Fiber packs, which are much lighter, but also more expensive, my Circuit is ready for another thru hike. I know of a few hikers who ‘retired’ their Cuben Fiber packs after they finished. There were times when I wanted less weight on my back, but for the most part, the extra suspension padding, the space for a bear can, extra water, and/or extra rain gear, was much more practical and needed. Though I kept a base weight no heavier than 12 lbs, there were still many times when my pack weighed over 30 lbs. The Circuit was more than capable of carrying over 30 lbs, without any problem. Check out this Gear List, to see how I kept a 10 lb. base weight using my Circuit. • Hydration Sleeve (1.4 oz) Get rid of it! •Internal Mesh Pocket (1.1 oz) Burn it. •Water Bottle Holsters (0.8 oz) Have them kidnapped. •Hand Loops (0.8 oz) Strangle them. •Single Aluminum Stay (2.0 oz) —> ACTUALLY KEEP THIS ONE! 2. Durability: This pack had been on hikes before the Pacific Crest trail, and after it. It is still in great, functional shape. I can’t say much to it’s cosmetic appearance, but it still functions perfectly. The fabric just seems to be almost bulletproof, minus one spot on the roll top closure, where the top strap rubbed the fabric down significantly in a small spot. Also, from constant bending for pack adjustments, getting thrown around, and crammed with different stuff, the aluminum stay bent and snapped, rendering it useless (I mention below how that affect the comfort of the pack). The only other slight damage are some small holes in the netting, but nothing big. I can replace the stay with ULA. 3. Comfort*: This one is tricky, because having a super comfortable, ultralight pack is like having your cake and eating it too. Packs like the Osprey Atmos AG, or the Gregory Baltoro, or really any “multi-day backpack” at major retailers like REI, are going to outstrip the Circuit when it comes to padding, and suspension. The reason ultralight packs are so light, is because they sacrifice on padding and suspension, thus their carrying capacity suffers. You can combat this with a low base weight, and being smart about how much food and water you should pack. On a thru hike, you have the luxury of time to tinker with your gear list, your diet, and how much water you need to carry in a day. By the end of my thru hike, I was such a good hiker, and was so good at hydrating during breaks, that I did not need to carry more than a half liter of water in case my mouth got dry. There were times when I hated my backpack. Sometimes, you are going to have to carry more than you want, so if you have an ultralight pack, you are going to be relatively uncomfortable. Also, in the hot month of July, the lack of back panel ventilation would cause me to overheat quicker. Still, for 80% of my time using the Circuit, it rode like a champ, and was super comfortable. In the cooler temperatures, I could get my speed up to 4 mph and not worry about breaking a sweat. The hip belt’s vertical adjustments where perfect in letting me dial in the length of the pack. As each mile, and day passed, the Circuit became more and more comfortable. By Oregon, my pack was a tried and true piece of gear, and I would trust it with any long hike. By Canada, the Circuit was an extension of my body, molded to me so perfectly, I didn’t realize the aluminum stay had snapped from repeated bending. Even with the main support gone with the broken stay, I still threw on my pack and kept hiking, comfortable with my Circuit. At the end of the PCT, the Canadian Border. Sitting next to my Circuit and contemplating life. So comfortable, I didn;t even take it off in town! 4. Adjustability: For an ultralight pack, the Circuit has a few different ways to adjust the fit of the pack. I found that through out the day, I would be constantly adjusting the shoulder straps, load lifters and hip belt. The Circuit will not stay in one position, so you need to tweak the straps every now and then while hiking. 5. Efficiency: There were a significant amount of times when I wished I could access the Circuit through the bottom. Yes, it would add a little weight, but more times than not, I just wanted to grab my quilt from the bottom without having to take everything out first. As for the roll top closure, the jury is still out. Does it allow me to roll the pack down when not completely full, yes, but it’s also just annoying to do it over and over again (remember 5 months living out of it). I wonder if a simple top like the Gossamer Gear Gorilla would have the same compression abilities, without the roll top closure. Next: Next post: The Alabama Hills & Other Adventures on Cali’s 395.
looks so beautiful in images….those expressions .